A couple of months ago THP had the opportunity to review a new shaft line from the recently merged UST Mamiya company called the ATTAS. After weeks of trials with the ATTAS shaft all of our testers agreed that UST had something special on their hands in this shaft as it was one of the smoothest that we have ever tested. Despite the love affair with that particular shaft, our testers had to get right back to work and test out another model from UST called the AXIVCore Tour Green Series. The UST AXIVCore is a carbon-fiber weave shaft that maximizes hoop strength with an end result of an absolutely superior energy transfer when compared to its peers. But UST didn’t stop at providing an ultimate energy transfer machine, it created a shaft that is tip balanced to promote better feel through the club during the entire swing. Better feel will promote a better swing and in the end will result in more accuracy and longer drives. “AXIV Technology is a proprietary 4-axis material that UST is using in the design of its latest and most technologically advanced shafts. What is AXIV Technology and how does it work? Through their partnership with Japan’s Mamiya OP, they have developed this unique woven graphite fabric that combines graphite fiber in four distinct directions that maximizes torque, flex and hoop stiffness in one single layer of material compared to standard two- or three-directional woven materials. To test these shafts we sent each one to Taylormade Golf to tip them with a R9 sleeve so that each tester could try the shafts against others in the same head and make fitting that much easier. 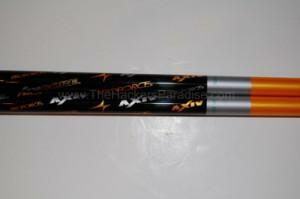 THP gathered up 12 golfers to try the UST AXIVCore Tour Green shaft against their standard shaft that they were playing. None of these golfers had been properly fit for their current shaft and we put them on the launch monitor to find out what shaft works best for their game. All twelve golfers hit balls with their current shaft of choice and we took a look at the numbers and found that almost all were dealing with a launch angle that was far too high. All 12 testers were in the 125 to 150 ball speed range yet their launch was on average near the 19 degree mark. This is something that as a whole we wanted to try and lower, and what better way than the UST AXIVCore Tour Green and its lower launch and low spin. Each golfer was then fit for the UST AXIVCore Tour Green shaft in the proper flex and the results were nearly astonishing. Each golfer was able to bring their launch down quite a bit (closer to the 11-13 degree mark) and because of that, the testers were seeing upwards of 15-18 yards more distance on average on their tee shots. The shaft was increasing distance for almost every tester that we had. There was definitely an increase in feel that was preferred unanimously by the golfers. The shaft fit a variety of different players and different swing speeds. One tester thought the shaft was a little “boardy”. 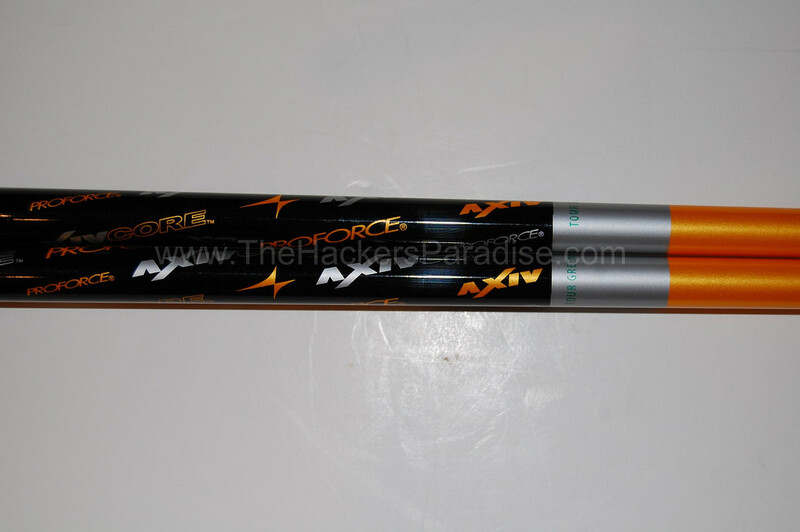 The UST AXIVCore Tour Green is available at shaft retailers everywhere. MSRP of $185 – Sells online for closer to $140. Nice review JB. I currently have a UST Proforce V2 in my driver and love it, so I’m a huge UST fan. If I ever have to reshaft, it’s good to see that UST continues to put out great shafts. Thanks. I was fitted last week, my stock shaft was a Taylor Made OEM Motore 55g, S. Low Kick. On the launch monitor I was 93mph, 11.5 launch angle, my best carry was 218 yards, ball speed 138mph, we settled on a Tour Green 63g, S, High Kick. Swing speed went up to 98mph, launch angle13.5, carry went to 238 yds., and ball speed 144mph. I play to a 2 index but the results refute what the OEM’S about what I should be using. They say go light and soft with low kick for best results at my swing speed. My fitter was able to dial me in to a shaft that allowed me to be more aggressive with my swing and not have any feel of shaft lag. This is the best shaft I have ever used. I highly recommend an outdoor fitting for the best results.